Her story gets retold in the Mabinogion where her power appears diminished. Culhwch ac Olwen, the oldest story in the Mabinogion, is also related to the Arthurian cycle of legends, being the oldest of those tales. In this tale Olwen appears only briefly but she is the lynchpin around which the action revolves. And the symbols of the story lead us to the realization that Olwen is an ancient Goddess who rules over life and death. Her steps on her return from the Underworld, as the sun risen in the spring, are those which bring forth the white shamrock flowers. In this story of Olwen she is the daughter of the Chief Giant Yspaddaden Penkawr, (“Giant Hawthorne Tree”). He was fated to die should She ever marry. So in order to avoid that fate Yspaddaden set 39 very difficult tasks in place that any suitor must successfully complete in order to marry Olwen. Many had tried and failed. Culhwch sought and received the help of his cousin, King Arthur, along with many of his companions to achieve his goal of winning Olwen’s hand in marriage. They set out in search of her. Finally after much time wandering through the wilderness, they met the shepherd, Custennin, disposed brother of Yspaddaden and his wife, who was related to Arthur and Culhwch. They agreed to help the companions find Olwen and meet the Giant, Yspaddaden. First Olwen came. Needless to say Culhwch, whose heart was already aflame with love for Olwen, fell more deeply under Her spell. She favored him also. But she said that she could only marry him if he were able to complete the tasks her father laid forth. The remainder and major part of the story then goes on to recount the companion’s meeting with the very ogre looking Yspaddaden and with the successful completion of all 39 tasks. All were completed in time for the marriage to occur on May Day, the beginning of the Celtic summer half of the year. In keeping with the mythological cycle of death and rebirth her father was decapitated (as was foretold). Yspaddaden, the Giant Hawthorne tree drips blood, like the red berries of the Hawthorne, thus representing the year that has passed away, making way for the new. But what of the tasks? Some scholars (Awen: The Quest of the Celtic Mysteries, by Mike Harris) suggest that Yspaddaden represents the cult of Bran, Giant King of Wales in the days of pre-history. Which of course brings Olwen into the pantheon as a truly ancient Goddess. This story could then reflect the conflict between the new world order of Christianity represented by King Arthur and the more ancient ways of the goddess, represented by Bran. Obtaining the cauldron of the underworld was another. This leads us back to Cerridwen and the cauldron of life and death, of poetry and inspiration. And Olwen, She of the “White Track” evokes the emergence of new life from the death of winter, from the darkness that restores us all. The tasks show a world of aggression, violence and rivalry combined with magic and symbols of death and rebirth. Olwen is the motivating force to heal these wounds; to stitch the fabric of society back together in a more loving way. She is the divine spirit from which the material world manifests. Her only reported action in the story is that of having the reputation of always leaving her rings behind after her bath, with no regard or desire to retrieve them. With these rings She brings and leaves sunrays to warm the earth after the cold of winter. Beyond that She remains hidden, secret; She simply is. She rules in the three realms – the Underworld, the Earth and the Heavens. Olwen emerges every May Day from the Underworld as Lady of the White Tracks. With Her footsteps She sprinkles the earth with the flowers of spring while touching the sky with her golden, flame-colored cloak. As the Golden Wheel, Olwen, Sun Goddess, unites heaven and earth into one whole. Call on Olwen for help completing difficult tasks, for transformation when the seeds you have nurtured in the dark are ripe for quickening, for the courage to move forward in a new way. When the sun reaches its zenith on the Summer Solstice, look for Olwen spinning out Her sun rays to warm our souls. Judith Shaw, a graduate of the San Francisco Art Institute, has been interested in myth, culture and mystical studies all her life. Not long after graduating from SFAI, while living in Greece, Judith began exploring the Goddess in her artwork. She continues to be inspired by the Divine Feminine in all of Her manifestations. Originally from New Orleans, Judith now makes her home in New Mexico where she paints and teaches part-time. Give yourself the gift of one of Judith’s prints and paintings, priced from $25 – $3000. And a happy solstice to all, I for one am celebrating the return to the dark, as we are suffering a heat wave (thanks to global warming) right now in Lesbos. Funny you say that Carol as I was thinking a similar thing on Monday – the solstice this year. I’ve always loved this time of year so much but temps of over 100 degrees make it really difficult. I’m praying we get the rains that should come in July to help ease the heat. Thankyou for writing this, I didn’t know that the Welsh also had a Sun goddess but it makes sense. Aine of Irish mythology is also a sun goddess or so my very somewhat limited resources tell me (I can’t get access to the most original manuscripts unfortunately being all the way in the Southern Hemisphere). I’m glad a piece of the puzzle of Welsh mythology has been drawn to my attention. 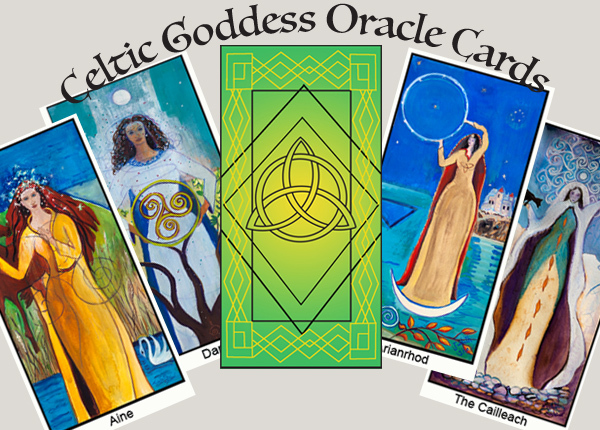 Hi Anne, Learning about the Celtic Goddesses and Gods is a challenge. It’s hard to find original info since nothing was written down until well into the Christian era. It seems like with many I find either very little info or lots of conflicting info. Also Grianne and Sulis were considered to be Sun Goddesses. Olwen is pronounced ‘OL-when’ (like the word when), and her name does not mean golden wheel. Olwen, Welsh Flower and Sun Goddess by Judith Shaw — – Welcome to the World of Ekasringa Avatar!